One of the questions we had from our survey last year was: "How do you explain why you blog to others in a way so that they don't put you and your blog down?" This is something all three of us have experienced over the years. When we all started we came up against barriers. Ute said her husband didn't take her blogging seriously until she announced she had been asked to contribute to some well known blogs (see her bio in the footer). Jean likewise was met with incredulity until her writing brought her results. My own family raise objections to how much blogging I do, even though it is the life-force of my business! It is because many people don't understand the concept of blogging. They think it's a waste of time, a hobby, something to do in your spare time. They don't realise its power within the web, and how much it can connect you to your audience, potential customers and other thought-leaders in your industry. 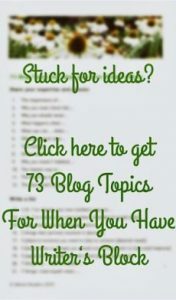 How do you feel about your blog? 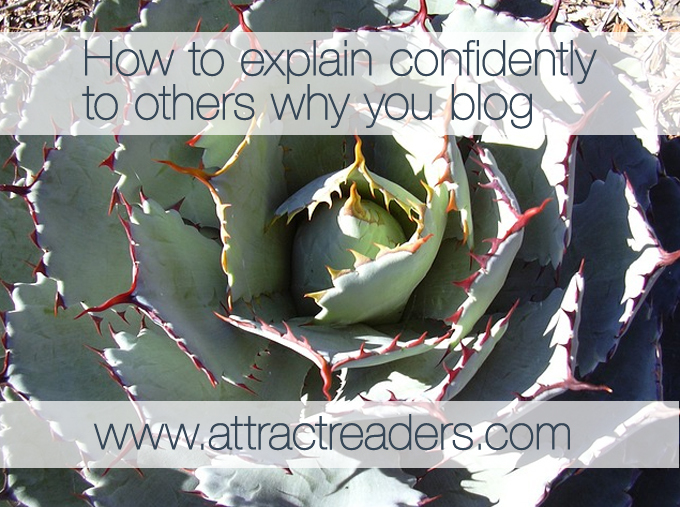 It’s no good talking about your blog to someone else unless you have complete confidence in it and its purpose. This is the sort of thing we cover in our e-courses, to allow you to really understand why you blog, what your blog is for, and how it can help your business. Until you have got that straight, any attempt to offer any kind of explanation why you blog may come a cropper. you need to feel proud of your blog and what you have achieved so far. Remember we all need to start somewhere. It doesn’t have to be perfect straight away before you can talk about it and share its contents. 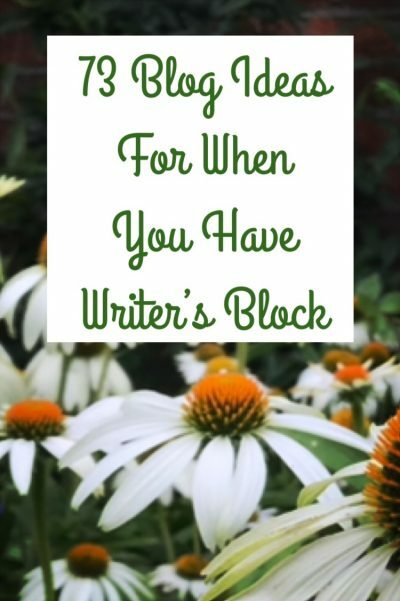 You need to be happy that it's still a work in progress, because a blog will improve the more you write in it. A blog enables you to explain your business in different ways, and educates your readers about what you do so that they understand it better. You can demonstrate your expertise by sharing your knowledge with your readers. This will publicise your credibility so that eventually others will start to see you as a thought-leader in your industry. You write your blogs as conversations with your audience. This will help forge relationships with you readers, allowing them to get to know, like and trust you through interaction both on your blog and on social media. You should find out what sort of information your readers want to read, and rewrite it specifically to share it with them, using a style they would appreciate reading. And don’t forget to ask for comments as feedback. Use your blog with relevant call to actions to direct traffic back to your website, where the real business should be done. Have a good think about these points, and assess whether these relate to the reason why you blog. Do any of them match your ideals? Have you considered any of these before? Or are these exactly why you blog all along? Have you ever been to a party and been cornered by a bore who only speaks nothing but business jargon? Or have you suffered at a networking meeting when two people from the same industry talk over you and you can’t join in? If you are going to successfully explain why you blog to someone who doesn’t understand blogging, the last thing they will want to hear is a load of words they don’t recognise. They probably won’t even understand what a blog is, let alone what it does. This means you will have to simplify why you blog right down to the real basics. You’ll need to find alternative way to describe what blogging is, such as an online diary, or a different kind of website where you write articles about your business. The art is to find words that anyone can understand. This won’t be easy, so I suggest finding a friend or colleague to help you brainstorm ideas to find the best simplest descriptive words you can think of. Someone who is good at explaining things has the ability to understand the other person’s point of view. Therefore you need to think or imagine your listener’s world, and put yourself into their shoes to see things from their perspective. This means you need to adapt your description into a scenario the other person can relate to. Think of various aspects that are familiar to them, and compare your blog and blogging to them. You could use analogies or similar concepts to clarify your examples, for example, if they’re a teacher, describe it in relation to a school. If you’re talking to your grandmother, use knitting or bingo within your explanation. Think of situations and occasions that would matter to your listener, not to you. Paint a verbal picture they would also want to have or experience. If your description of blogging is something they would desire, it is immediately more interesting to them. When you are writing your blogs to share your knowledge with your readers, you will be aware of what is not suitable for them, or what would confuse the issue. Not everything is applicable to be included all in one go, or the post would be cluttered and difficult to understand. The same goes for when you explain why you blog. Transfer this concept over to your explanation. Realise it’s not essential to include everything. Some people will relish understanding about the business side of blogging, whereas others may only be able to cope with the concept of writing or publishing content online. And if you feel you can explain a lot, remember to break it down into manageable chunks. Don’t gush everything out in one go. Leave spaces for acknowledgement, comprehension and questions. Gauge the situation and understand when they’ve had enough, and leave it for another day. 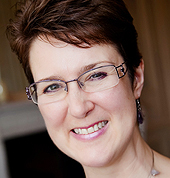 Do you think you could explain why you blog? I'm constantly revising how I explain to others why I have a blog and what I say in it. It's not that its content or purpose changes dramatically, I feel a need to rearrange my explanation to make it better. Just like writing, we all know there's room for improvement. There's always going to be new people who need to be explained to, and many will have varying degrees of concentration, focus and be subject to distraction. You could draft together some 'pitches' for your blog in, say, 50, 100 and 200 words. Just as if you were composing a blurb of your book for an literary agent. In fact, why not write a series of tweets (140 characters) that would explain why you blog really succinctly! It's always wise to have at the back of your mind something ready just in case you get stuck in a lift with a famous blogging guru and you have the opportunity to impress him/her. A chance of a lifetime not to be missed!